Among the general attitude of pessimism and even remorse that a European audience cultivates towards the Arab Spring, Tunisia often stands out as the supposedly successful exception. 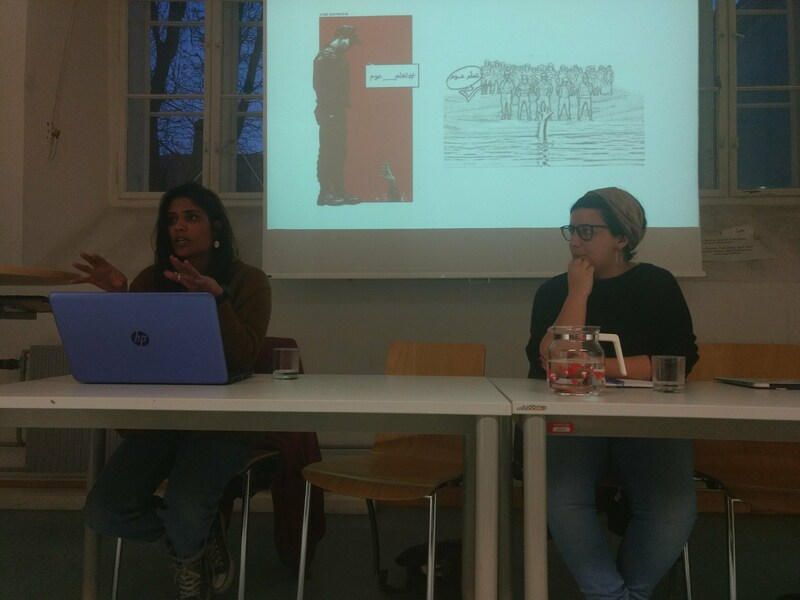 The research cluster in Vienna invited activist Hiba Tlili to discuss the revolution in Tunisia seven years in and the discontents of this apparent triumph. In her analysis, various social movements maintain an effort towards radical change in an otherwise restoratory and counter-revolutionary context. 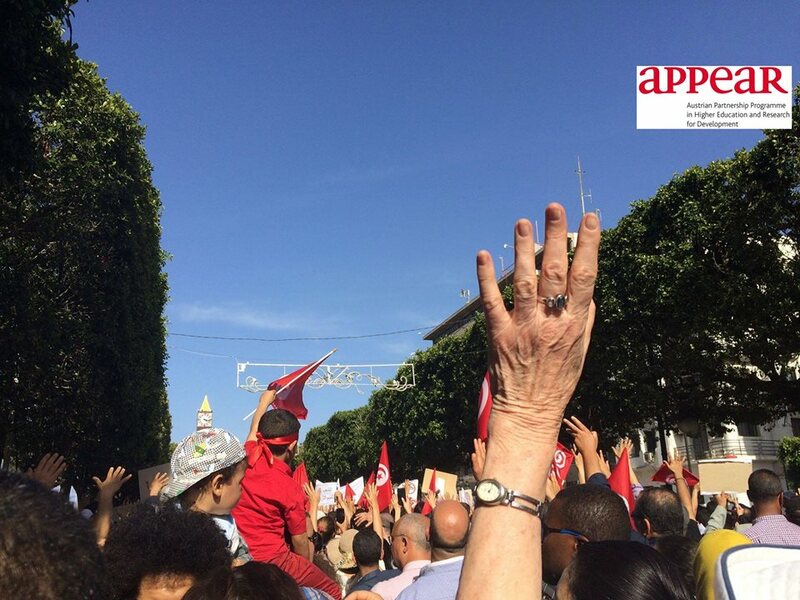 Tlili emphasized that the new Tunisian government, consisting of Nidaa Tounes and the Ennahda, have formed a political landscape that gave up on the radical demands of the revolutionary movement started in late 2010. 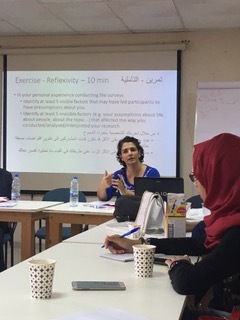 After a summary of the main events and political actors in the country, Tlili presented some of the key moments in recent protest and social movement history. Recurring examples were the anti-corruption movement “Manich Msamah | I don’t forgive!” and ” “Fech Nestanew | What are we waiting for?”, an anti-austerity movement against the implementation of IMF conditionalities. Both have been leading points of crystallization for youth’s desire for change and managed to push their way into a Tunisian public with innovative communication and protest tactics. 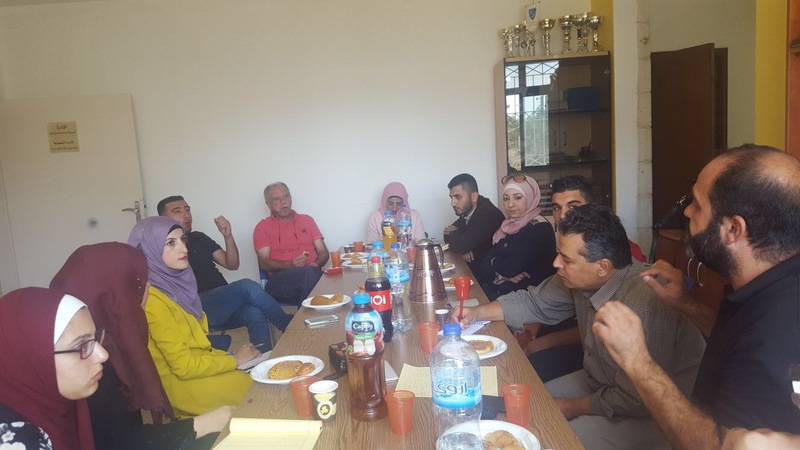 Another important example was the experience of reclaiming land and establishing a cooperative in the town of Jemna as well as continuous protests, strikes and blockades against energy grabs of Western energy corporations in the South of Tunisia, such as the protests in Kamour 2017. The event and the ensuing debate highlighted some of the core contradictions in the present political conjuncture. Despite continuing isolated, but numerous, protests and the ability of new social movements to include popular elements like football culture, a deepening of the revolution was not possible. Some of the analytical entry points offered to explain the limits of the revolutionary movements were the hesitance of the leadership of oppositional parties and unions, the class composition of the movements, and the relationship between secular or communist activists and Islam or Islamic elements of progressive movements. Despite the ongoing celebration of Tunisian exceptionalism in Western publics, the stability of the counter-revolution is far from guaranteed and the government maintains a fear of popular mobilizations which it often meets with forms of repression familiar from the old regime. For more information on recent developments in Tunisia, see Ines Mahmoud’s article in Jacobin Magazine. After more than 20 years of the Oslo process and its dominant development model, the multiple crises in Palestine lend urgency to the exploration of alternatives to the status quo. 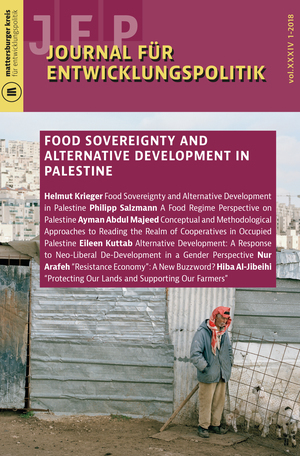 This special issue contributes to current debates on alternative development and ‘resistance economy’ by discussing the significance agricultural cooperatives have in the occupied Palestinian territories and linking their experiences to the food sovereignty approach. 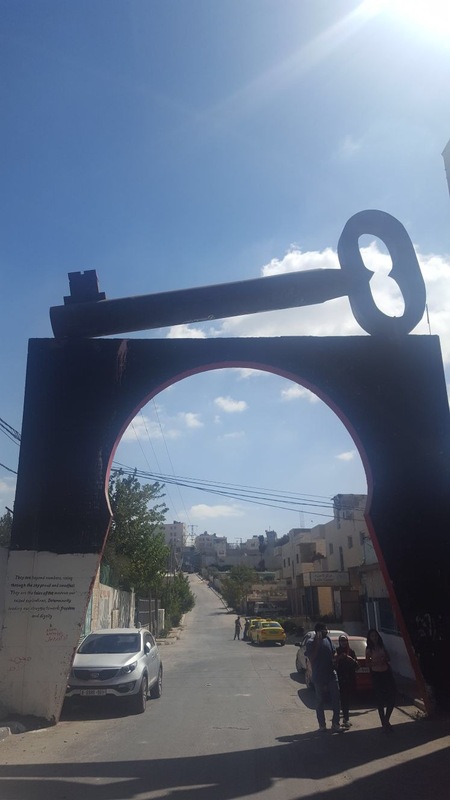 What kind of alternative development is envisaged by agricultural cooperatives in Palestine in response to neoliberal development models of economic growth and the Israeli occupation? 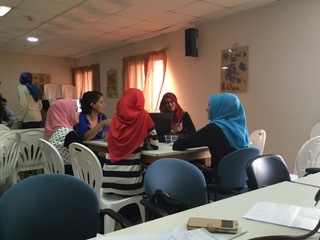 How can community-based agricultural cooperatives initiate processes of alternative development in Palestine? The authors of this issue contribute to a better understanding of the multiple (development) crises in Palestine and analyse cooperatives’ experiences and strategies from academic as well as activist perspectives. “Resistance Economy”: A New Buzzword? Once more, our project is going against the grain. While people are fleeing Facebook’s appropriation of their data in numbers, we are swimming upstream and decided to join. If you are still holding out, follow us to stay updated on our events. „Krise, Revolte und Krieg in der arabischen Welt“ titelt ein neues Buch als Ergebnis langjähriger Auseinandersetzung mit der Region und den Ereignissen, welche bereits im Kolonialismus tief verwurzelt sind, aber ihren Ausgang im anhaltenden Israel-Palästina Konflikt haben. 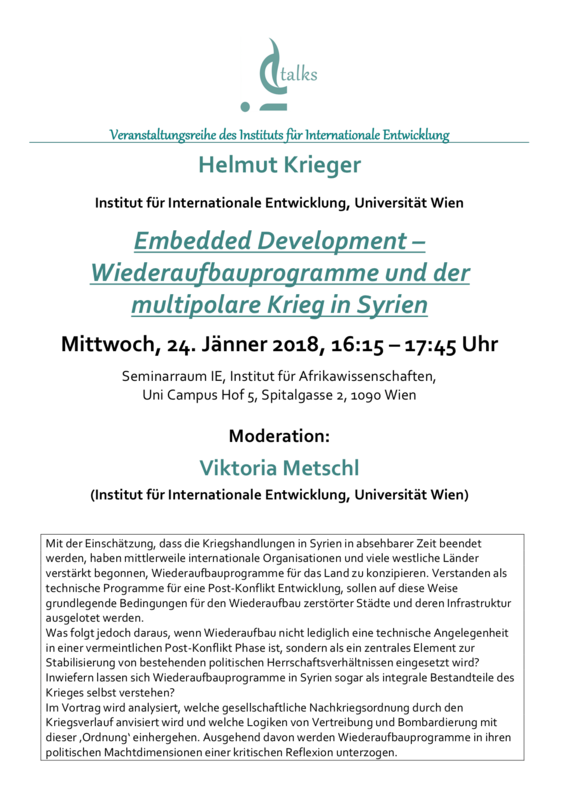 Es finden sich Beiträge von Wissenschaftler/innen und Aktivist/innen, die sich gemeinsam der Herausforderung stellen, sowohl eine differenzierte Analyse des sogenannten arabischen Frühlings und seiner politischen und gesellschaftlichen Folgen zu geben, als auch überregionale ökonomische und soziale Verflechtungen aufzuzeigen. Die Kritik an „westlichen Narrativen“ darf ebenso nicht fehlen. In dieser Radiosendung sprechen die irakische Schriftstellerin und Aktivistin Haifa Zangana über den Kampf der Frauen gegen Ungerechtigkeit und die Politologin Rabab El-Mahdi erklärt warum die ägyptische Revolution Teil einer globalen Transformation ist. “Rooting Development”-Projektkoordinator und Sozialwissenschaftler Helmut Krieger, Mitherausgeber des oben genannten Buches, analysiert eurozentrische, aber auch alternative Konzepte von Entwicklung in der Region. Gerne möchten wir Sie zudem darauf aufmerksam machen, dass die letzte Radiosendung mit dem Titel „Partnerschaftlich und auf Augenhöhe! ?“ im Rahmen der Medienkooperation mit ORF Ö1 Campus nun nachträglich auf der KEF-Webseite hörbar ist.